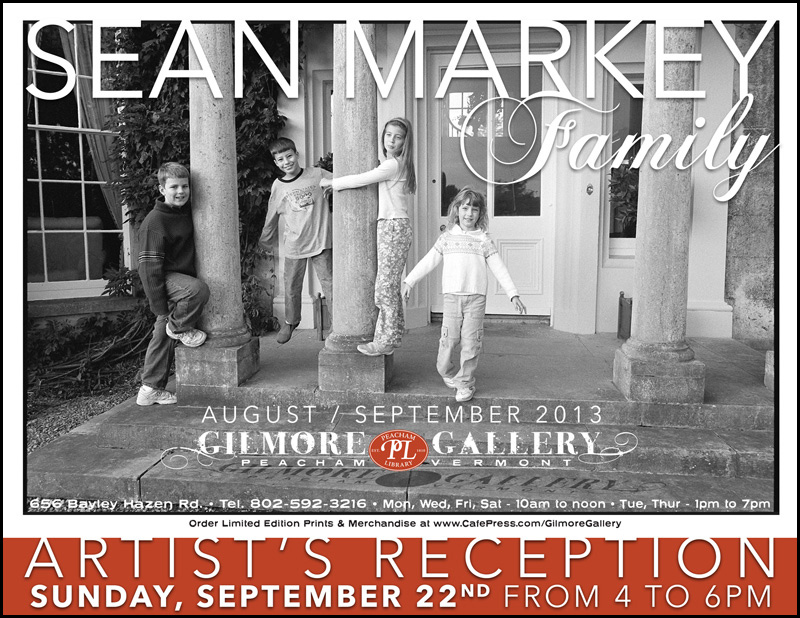 In a show entitled “Family,” slated to run from August through September 2013, the Gilmore Gallery will present a collection of black and white portraits by Peacham-based journalist and photographer Sean Markey. Shot in a simple documentary-style, the images capture quiet, intimate moments from a decade of family celebrations of love, birth, and death. A self-taught photographer, Sean is a former staff writer and editor for National Geographic News in Washington, D.C., and Ted Scripps Fellow at the University of Colorado, Boulder. His images have appeared in National Geographic magazine, the New York Times Syndicate, the Washington Post, and El Diario, among other outlets. An Artists’ Reception was held Sunday, September 22nd.